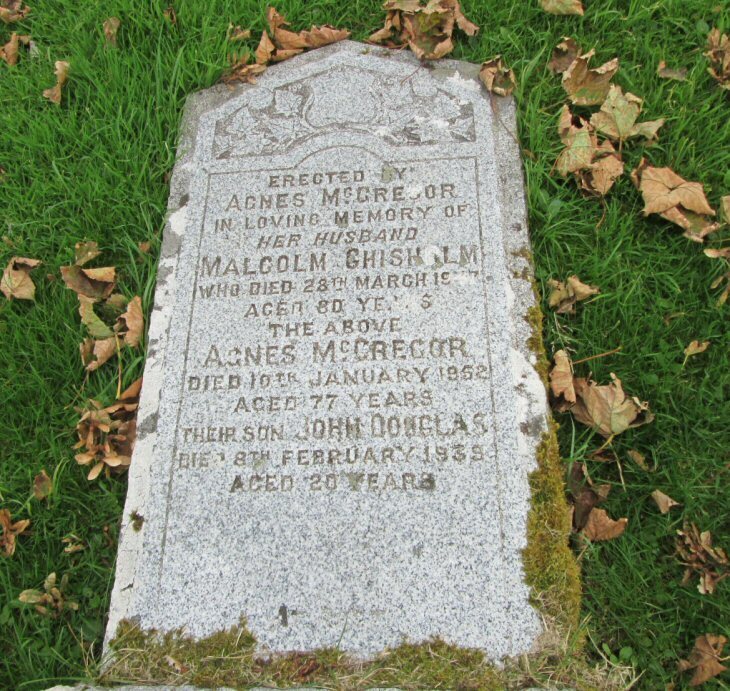 Skye Gravestones | Malcolm & Agnes (McGregor) Chisholm. Malcolm & Agnes (McGregor) Chisholm. Erected by/AGNES McGREGOR/in loving memory of/her husband/MALCOLM CHISHOLM/who died 28th March 1947/aged 80 years/the above/AGNES McGREGOR/died 10th January 1952/aged 77 years/their son/JOHN DOUGLAS/died 8th February 1939/aged 20 years.